This is a factory floor that was completed by TKO Concrete. 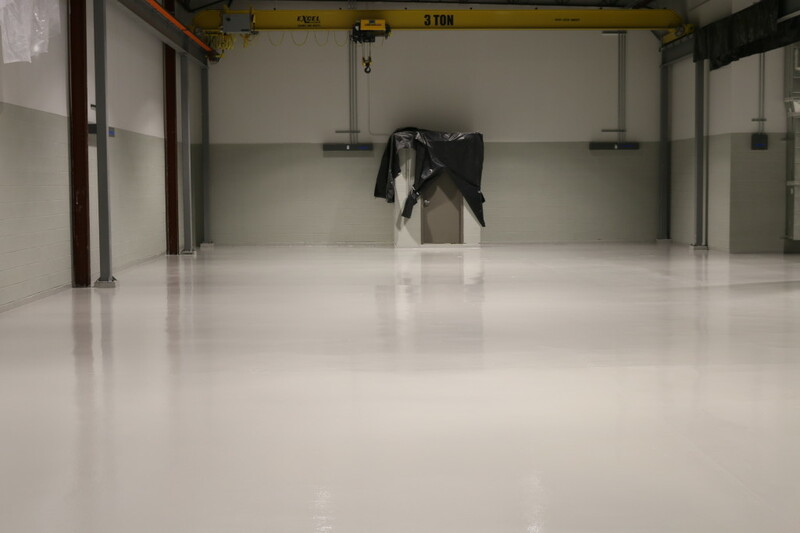 The client needed a durable industrial floor to withstand the traffic of forklifts and tow motors. They wanted an inexpensive two coat epoxy flooring system. We prepped the floor by grinding the concrete and applying a 10 mil coat of 100% epoxy and a top coat of high performance urethane. We used a medium gray epoxy. We were also hired to do several thousand feet of “safety yellow” floor stripes for this client.